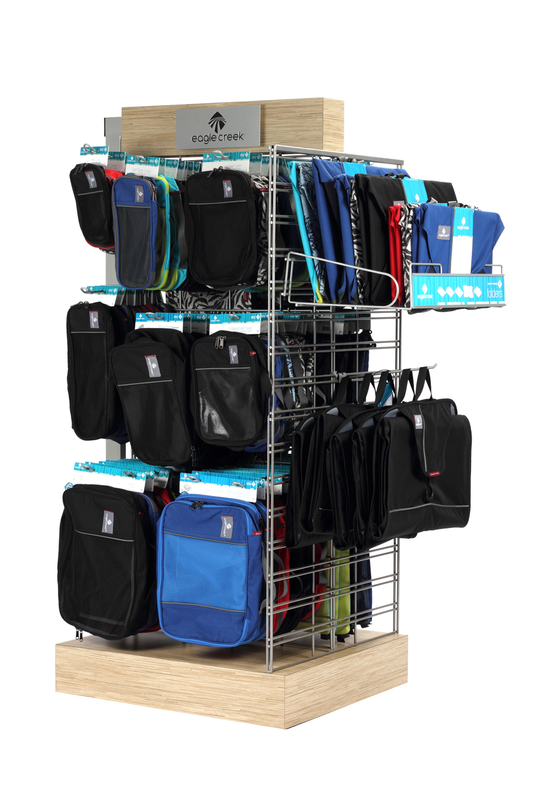 Wire rack displays are a flexible, cost effective solution for point of purchase displays. Typically very strong, metal displays can incorporate adjustable shelving and can be assembled in parts, which saves in shipping costs. Wire rack displays can be powder coated in any color, and we can even match brand colors with the powder coat. Metal displays include both wire and sheet metal- and we often create displays using a combinations of materials. Request a quote today or contact Simply Displays for custom wire rack displays.